We are accepting clothing donations at the studio for Haven Hills, a local shelter for victims of domestic abuse. Women often arrive in the middle of the night with their children and nothing but the clothes on their backs, so they are in constant need of underwear, pajamas and socks. Please bring new items only. Visit Haven Hills to learn more. As part of our community outreach effort, Param Yoga has adopted the Resilient Scholars Program through CSUN to support young people who have been released from the Foster Care System. They are in great need of, well…everything! From October 1st through December 31st, 2018, we will be accepting tax-deductible donations of cash and checks (made out to EOP Resilient Scholars Program) at our front desk, where you can get a receipt. ALL proceeds will go directly to the students, so so please give generously and ask your friends to join us in our efforts to support the kids! 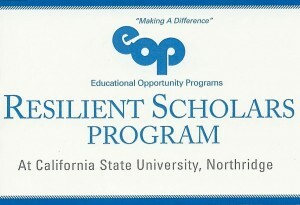 For more information about the Resilient Scholars Program, click here. If you’d like to get involved in any of our Community Outreach programs, call the studio at (747) 224-0402 or email us.